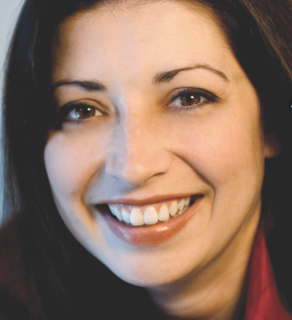 Jennifer LaMountain coming to Franktown » The Franktown SDA Church, east of Castle Rock, Colo., presents a special evening with Jennifer LaMountain on Saturday, October 4, at 6:00 p.m. The church is located at 905 N Hwy 83 in Franktown. Jennifer's music is appreciated around the globe by thousands. She is a regular on 3ABN and Hope Channel. Don't miss this opportunity to hear her live here in Denver! Wes Hampton concert will benefit Campion Academy » Grammy and Dove Award winning artist Wes Hampton, who sings with the Gaither Vocal Band, will perform a concert benefiting Campion Academy an October 5 at 7 p.m. (doors open at 6 p.m.) at LifeBridge Christian Church, 10345 Ute Hwy, Longmont, Colo. For tickets visit campion.net or call: 800-965-9324. Tickets will also be available at the door. Vista Ridge students keep their community clean » The 7th through 10th graders at Vista Ridge Academy in Erie, Colo., hit the streets recently during their annual, "Adopt a Highway" clean up project. The students worked hard and still managed to have a good time. Colorado Springs Hosting International Sabbath » Colorado Springs Central Seventh-day Adventist Church is hosting an International Worship Service October 4 at 10:30 a.m. Special guests include La Vida Mission Choir, a quartet from Kenya, and African-American group Shields of Faith. Guest speaker is Pastor Sam Chetty from South Africa. After the service, Taste of the Nations international food festival will take place at Springs Adventist Academy where you will be able to sample food from all over the world. For complete information click here. Cheyenne Welcomes New Members » The Cheyenne Seventh-day Adventist Church in Wyoming recently rejoiced over two new baptisms—José Lovato on July 12, 2014, and Julie Hummer-Bellmyer on September 13, 2014. Click here to read the stirring report about their conversions. 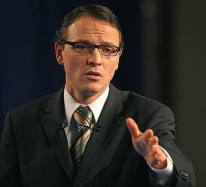 David Asscherick Speaking Tonight in Franktown » International speaker, evangelist, and author David Asscherick will be the guest speaker at the Franktown SDA Church tonight at 7:00 p.m. He'll speak again tomorrow (Sabbath) morning, November 27, at 11:00 a.m., and on Sabbath afternoon after the fellowship luncheon. All are invited to attend. The church is located at 905 N. Hwy. 83, in Franktown, Colo.
Lakewood Fellowship Hosts Revelation Seminar » The Lakewood Adventist Fellowship in Lakewood, Colo., will be hosting a Revelation Seminar series beginning on Oct. 17, and that will continue nightly (except Mondays and Thursdays). If you have friends or acquaintances who live on the west side of Denver, invite them to attend! Click here to preview a flyer about the event. 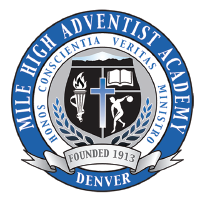 Mustang Mosey: 5K / 10K Fun Run to benefit Mile High Academy » This Sunday, September 28, at 9 a.m., a 5K Family Walk/Run and 10K race will be held to benefit Christian Education and the Annual Fund at Mile High Academy. For details on registration and location, click here.